Where your focus goes, your energy flows! So it’s not surprising that what you focus on generally gets your best efforts. In a business environment, there are many things that vey for your attention each day. The challenge is recognizing their level of priority and systematically attending to what’s most important to you and your business. One of the things that effects focus is your orientation. Like a lens in a pair of glasses, each of the activities you focus on is predetermined by the orientation you have. As a kid growing up many years ago, I routinely heard the phase; “do you see the glass half full or half empty?” Hearing this usually accompanied a situation that was being handled either positively or negatively. In the business world, it’s looking at things with an orientation that sees an ‘opportunity’ or an ‘obstacle’. Both can be beneficial in terms of making good decisions about what to engage in but a predisposition to either one can create business building limitations long term. Are You Oriented Towards ‘Opportunity’? · You tend to see advantages early where others might dismiss the situation out of hand. · You tend to attract more of these type of situations as others see you as someone with a positive attitude who will listen and consider their ideas. · If you are good at evaluating new situations, you probably catch your share of ideas or activities that genuinely pay off. · You have difficulty focusing on what’s really important because you like the feeling of addressing something new and different all the time. · You tend to have too many unfinished ‘opportunities’ on your plate at one time creating a low focus effect for everything. · You tend not to complete the really important tasks that drive the success of your primary business. · You tend to get burned allot chasing shiny objects that don’t pan out and are not aligned with what your business really needs. If you tend to see new or different ideas, situations or suggestions as potential problems to be dealt with, you most likely tend to dismiss them as obstacles to your normal routine or distractions to the things you are already focused on. You may also be resistant to change in general or adverse to different approaches to accomplishing similar overall business building goals. When new situations are presented to you, your tendency may be to find reasons why not to investigate them, fearing thoughts of being disappointed when they don’t pan out. · You tend to waste less time of new ideas that really don’t have any merit. 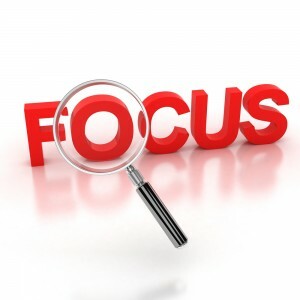 · You probably are more adept at staying focused on the real priorities of your business. · You don’t tend to get bothered by others who are always peddling new ideas or ventures to get involved with. · You tend to resist any sort of directional change, even when it’s necessary. · You miss out on opportunities that others take advantage of. · You probably see most situations that don’t fit your limited thinking as obstacles to be removed so you stay in your comfort zone. · Over time, your business or your professional career tend not to move in an upward direction. Regardless of your orientation towards the things you focus on, you can navigate new or different circumstances by incorporating a few practices that will allow you to address potential opportunities and avoid real time or money wasters- ‘obstacles’. 1. Make sure your overall business building or career direction is clear and lines up with a real commitment to your future. 2. Identify the major goals or milestones you need to address in order to stay on the most direct path to your future of success. 3. Recognize where your strengths and interests lie and what areas you have no desire to get in to. This step is critically important to stay clear of enticing potential opportunities that you may not be well suited for. 4. Identify one or two key people in your life that can help you dissect new situations so you can objectively decide whether to play or pass. 5. Learn how to evaluate new ideas or ventures so you can quickly accept or dismiss them without getting too invested too early and losing focus on the most important areas of running your business. 6. Be flexible in your thinking but resolute in your decision making. 7. Don’t second guess decisions you have already made. No one bats a thousand and wasting time rethinking things that you’ve already evaluated and dismissed causes real damage to your level of commitment to stay the course. 8. Find things in your life that you love to do outside of work or running your business. Sequester time to engage in these things and hold them as important as your most precious clients. They will contribute greatly to a positive and balanced state of mind. As a result of my 30 years of running and building businesses, I have come to realize that developing a disciplined approach for staying focused on what’s truly important is as much a mindset as it is a function of organization. Once you understand your orientation towards your focus, you can accomplish more of the things that will make your business or career life truly successful. Best of all, you’ll get there with fewer regrets and a better sense of purpose in what you have chosen to do. 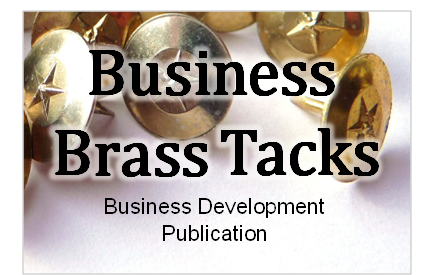 Sign up today and get high quality business building articles directly to your inbox!